A moving aeroplane is constantly hitting gas molecules, causing compression waves which move away from the aeroplane at the speed of sound. The speed of aeroplanes is measured in units of Mach $-$ Mach $1$ is the speed of sound, Mach $0.5$ is half the speed of sound, Mach $2$ is twice the speed of sound, and so on. 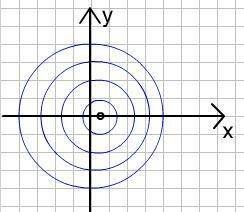 In the context of sound waves, why is Mach $1$ important? Can you accurately draw the location of various wave fronts around the plane at Mach $0.5$? What about Mach $1$? What about Mach $2$? What would the situation be for a typical commercial airplane? Tip: A pair of compasses would help you to draw clearer circles. What goes wrong with the description of your shape for aircraft speeds slower than the speed of sound? Aside: You can still make sense of this shape using complex numbers, although it does not 'exist' as such. You might like to investigate this idea to test out your skill with complex numbers. For example, how does the result relate to the physical situation? See the solution for more details. Extension: You might like to think about the patterns of wavefronts for aircraft moving along curved trajectories. Visualising. Energy. Locus/loci. Engineering. Mathematical modelling. Physics. Fluids and aerodynamics. Chemistry. Investigations. Biology.